The McTimoney techniques aim to restore your animal’s normal performance and behavior through aligning and re-balancing the animal’s musculoskeletal system. This is achieved through using the hands to palpate and mobilise the bones and joints of the spine and pelvis. The McTimoney method is holistic (considers the whole body) and is also non-invasive. The techniques are very light and fast, ensuring minimal discomfort to your animal. 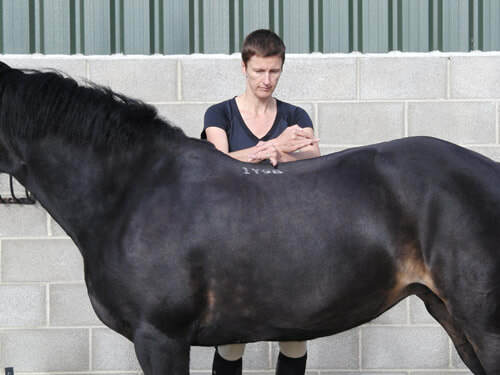 The treatment involves viewing your animal both statically and in motion, together with palpation and mobilisation of the bones and joints of the spine and pelvis. Because the techniques are light and fast, animals generally readily accept the treatment with minimal suspicion or tension. Like us, our animals too can suffer from back, neck, pelvic and musculoskeletal problems. As a practitioner, animals are seen from a variety of historical situations – from maintenance check-ups to maintaining peak performance through to animals that have suffered a recent accident or a longer term trauma, such as foot / hoof balance issues, rider balance and tack / harness fit. Our animals can also suffer over a period of time (longer term trauma) through repetitive work, for example greyhounds can be at risk of injury and imbalances through continuous running on a tight track in one direction. McTimoney practitioners rely on the owner’s observations and the veterinary surgeon’s subsequent referrals and most of you I am sure will recognise when your best friend – horse / dog – is showing signs of distress, or when there are changes in behavior or performance. Lameness after a fall or accident where alternative causes have been ruled out. Uncharacteristic changes in behaviour, performance or temperament. Limb-dragging or odd, irregular action. Recurrence of symptoms previously successfully treated by manipulation. Absence of any resolution of the problem using conventional methods. Rehabilitation after acute trauma for horses, dogs and cats. The key benefit is the holistic approach aimed at re-balancing and re-aligning the musculo-skeletal system, with the aim of restoring your animal’s normal behaviour and performance. Although it is important to ensure your horse or dog is correctly aligned and balanced following recent trauma, it is also just as important to ensure your animal is maintained in good condition on an ongoing basis. McTimoney treatments can work well as part of an annual maintenance program, to maintain normal behaviour and performance rather than treating a problem when it manifests itself through behaviour and performance changes. Stef has completed a 3 year intensive postgraduate / MSc. Qualification to become a McTimoney Animal Practitioner. 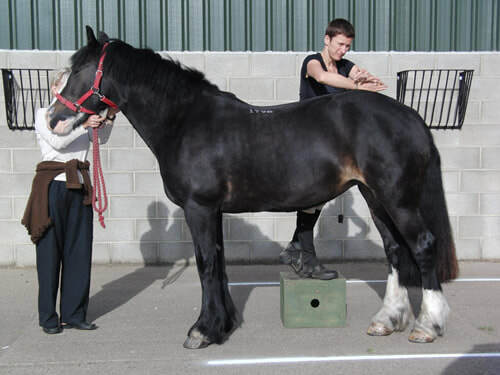 The training took place at both the McTimoney Human Chiropractic College in Abingdon, Oxford and the Equine Unit of Warwickshire College in Moreton Morrell.